Nigerians of voting age are expected to troop out to various polling units to exercise their franchise in the next five days in what many believe will shape the country’s future in the next four years and beyond. 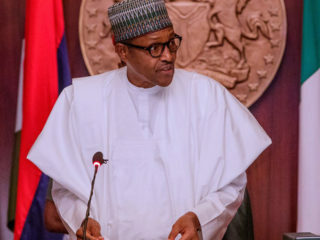 It promises to be a Super Saturday!On the presidential plane, the contest will be between candidates of the two major political parties: incumbent President Muhammadu Buhari of the All Progressives Congress (APC) and Atiku Abubakar of the Peoples Democratic Party (PDP). However, other candidates aspiring to make laws for the country at the Senate would fight tight battles at their senatorial districts.The Guardian’s investigation reveals 11 isolated senatorial districts where the toughest electoral contests would take place on Saturday between powerful incumbents and outstanding challengers. Interestingly, seven of the 11 competitive districts are in the central districts of eight states, thus making the stiff contest literally and practically central to the Super Saturday. 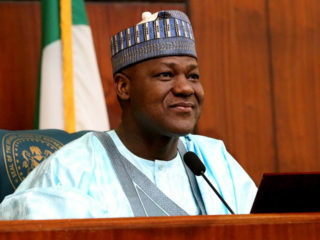 They are Kwara Central where Senate President Bukola Saraki would face Ibrahim Oloriegbe; Kano Central where Rabiu Kwankwaso and Ibrahim Shekarau would engage in a battle royale; Anambra Central where Uche Ekwunife and Victor Umeh would show their strength and Lagos Central where Oluremi Tinubu and Adesunbo Onitiri would struggle to beat each other. Others are, Abia Central (Theodore Orji versus Nkechi Nworgu); Kaduna Central, (Shehu Sani, Uba Sani and Lawan Adamu), Ondo Central (Omotayo Donald Alasoadura, Olusegun Mimiko and Ayo Akinyelure) and Borno Central (Governor Kashim Shetima versus Muhammed Abba-Aji).Away from the central districts are other crucial senatorial battles, including Delta South (James Manager and Emmanuel Uduaghan); Akwa Ibom Northwest (God’swill Akpabio and Chris Ekpenyong) and Abia North (Mao Ohuabunwa, Orji Uzor Kalu and David Onuoha-Bourdex).